As students return to school, the Georgia Department of Education and State School Superintendent Richard Woods are urging motorists to use caution when approaching a school bus and to brush up on the law regarding passing a bus. According to Georgia law, vehicles traveling in BOTH directions must stop when a school bus activates its stop-arm on a two-lane road or a multi-lane road with no median or barrier. Vehicles traveling in the same direction as a school bus must always stop, but motorists traveling in the opposite direction can proceed (with caution) when there is an unpaved median or concrete barrier separating the opposing lanes. A warning that a bus stop is about to take place will always be given with the flashing amber lights on the front and rear of the school bus. Upon seeing these flashing amber lights, vehicles approaching the school bus from both the front and rear should immediately slow down and prepare to stop. 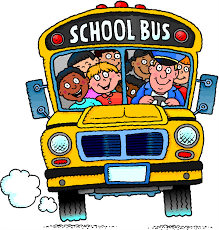 All drivers must pay special attention to children, be focused, and exercise caution when in the vicinity of a school bus stop, as student riders can sometimes be unpredictable. Once the bus is fully stopped, the flashing red lights will activate and the stop arm will deploy. Vehicles must stop and should remain stopped until all loading students are aboard in the morning or all unloading passengers have cleared 12 feet off the roadway in the afternoon. Motorists should proceed with caution only after passengers have cleared the roadway, the stop arm is canceled and the flashing red lights are deactivated.